America is not a monarchy and yet the country has its share of ornate palaces, some certainly matching the grandeur Downton Abbey's Highclere Castle. Newport, RI boasts 10 such regal residences on and around Bellevue Avenue, including Chateau-sur-Mer, The Elms, Kingscote and The Breakers. They include a Colonial structure that served as headquarters for the French navy during the Revolutionary War, a Victorian mansion, and houses modeled after European palaces. Together they allow visitors to explore 250 years of American history. 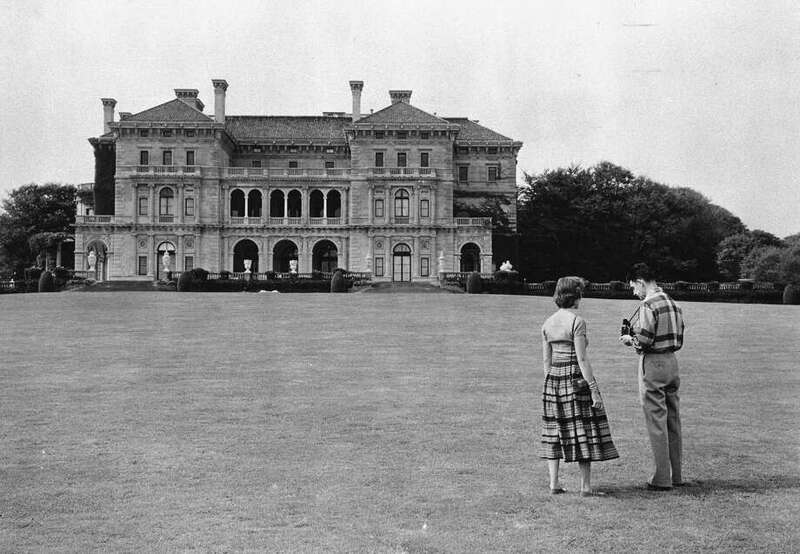 The mansions showcase the changes in development of American society. "What people see when they come to Newport is one of the most historically intact cities in North America; some 300 years of landscape and architectural development," said Andrea Carneiro, communications manager of The Preservation Society of Newport County. There are 88 collective acres of gardens and landscaped grounds on the mansion properties including topiaries and specimen plantings, some of which date back 150 years. The gardens are every bit worth seeing as the house interiors. "We are developing some individual landscape tours," Carneiro said. Several of the mansions host special events throughout the summer: the 21st annual Newport Flower Show at Rosecliff on June 24-26, the Children's Party at Green Animals on July 14, and the 11th annual Newport Mansions Wine and Food Festival at Rosecliff and Marble House Sept. 22-25. It would be easy to spend an entire vacation week or more at the Newport mansions but there is so much else to see and do throughout the summer in this seaside city. In the late 19th and early 20th centuries industrial tycoons went pleasure cruising in the waters off the coast of Newport in private steam yachts. Today the city is casually known as "the sailing capitol of the world" because of its history with the America's Cup race. "We have many of the America's Cup winners and competing yachts in the water and they're available for charter," saidAndrea McHugh, marketing communications manager for Discover Newport. America's Cup Charters offers the largest fleet of America's Cup winners in the world, legendary 68' classic l2-meter yachts. "You can either get involved by hoisting the sails and grinding the winches or you can just sit back and enjoy; whatever floats your boat," McHugh said. Stick around beyond Labor Day to enjoy the annual Newport International Boat Show, one of the largest in-water boat shows in the country, Sept. 15-18. In conjunction with that show the Newport Wooden Boat Show will be held for the first time at Bowen's Wharf. It will feature Hinkleys, Hunts and other Downeast-style boats, McHugh said. She said the harbor is one of the most beautiful and picturesque waterways and its shores are home to many public beaches including Easton's Beach, also known as First Beach. It features an authentic 1950's carousel, Save the Bay Exploration Center and Aquarium, surf and paddleboard rentals, and free Family Night concerts. It also has great concession stands. One snack bar is famous for its twin lobster rolls "and it's the best bargain going. 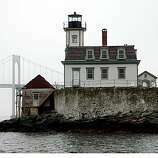 It might be the best bargain in Newport," McHugh said.